I LOVE ALL THINGS THAT ARE GLITTERY and BRIGHT and WHIMSICAL!!!! 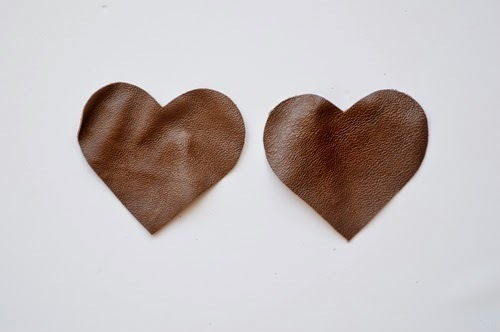 Happy Hump Day all you crafty crafters! I get super excited when it comes to holidays and I know you do too! Since I live in Louisiana the next holiday for me is Mardi Gras but we will skip that one here on the blog and jump right into Valentines Day! We all know everyone loves this holiday, filled with tons of love and happiness. I can't say it's my "favorite" holiday but I do love pink and red so that will make me happy. 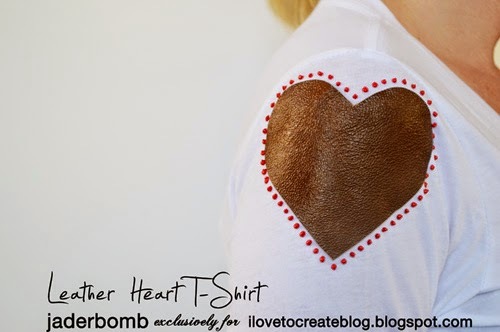 Today I will be showing you how to make a T-shirt with leather hearts on the sleeves. 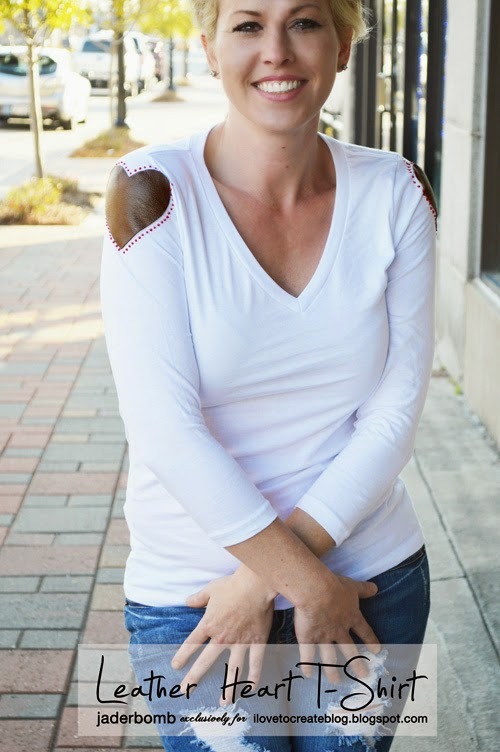 It's my take on the "new and improved" shoulder pads. 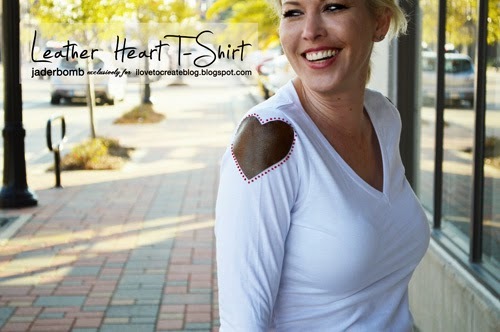 Step 1: Put the shirt on and mark on the shoulder where you want the heart to be. Don't worry you will not see this mark once the heart is on. 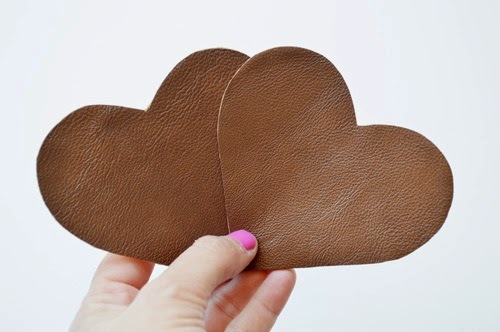 Step 2: Print out a heart shape, cut it out then place it on top of your leather. 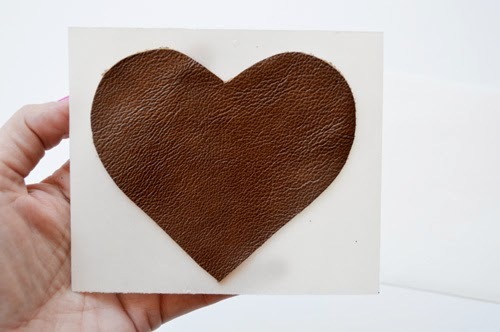 I recommend placing the heart on the back side of the leather. 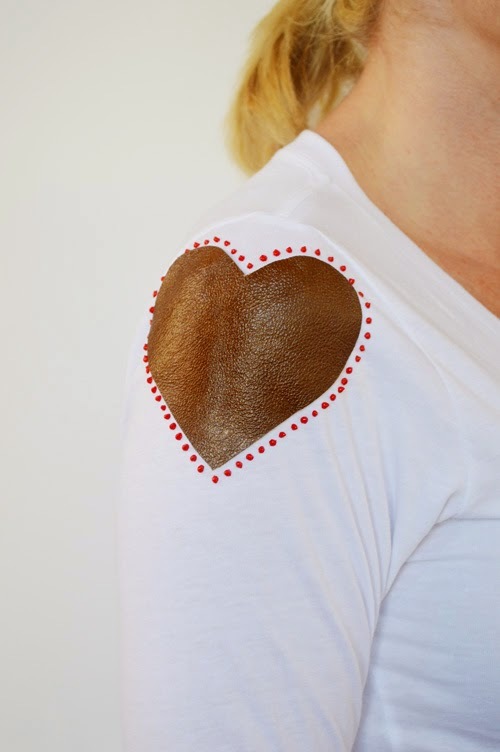 Step 3: Trace the outline of the heart with your Sharpie. 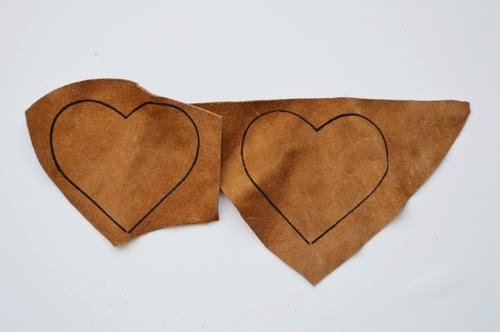 Step 4: Cut out your hearts. 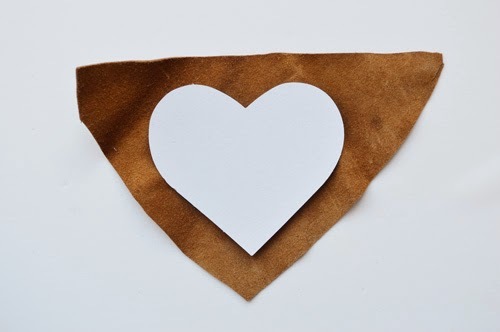 Step 5: Get a peel and stick sheet and peel off one side then place your heart (back side) down. Step 6: Cut around the heart again. It might be helpful to use non stick scissors. 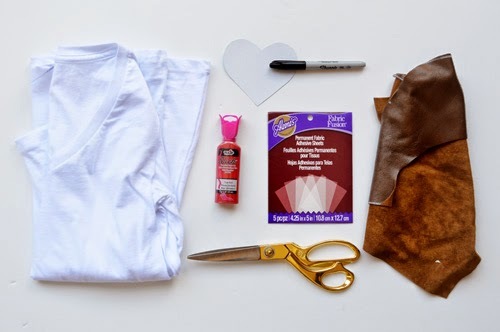 If you don't have them you will just have to peel off some of the sticky layer if it gets stuck on the scissors. 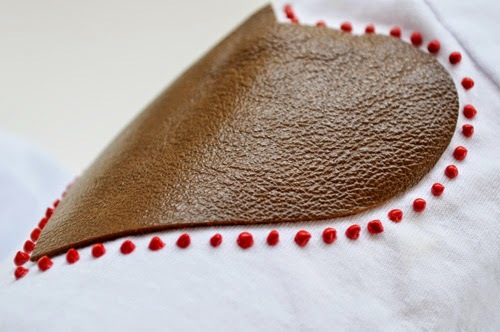 Step 7: Peel the back side of the sheet off and place it on the shirt sleeve. I absolutely love the way it came out. 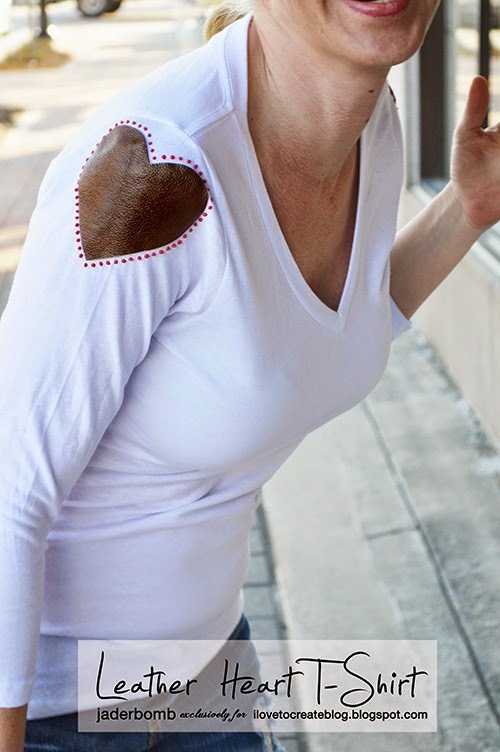 I actually though about leaving the hearts plain on the shirt but I had to add some red to them! 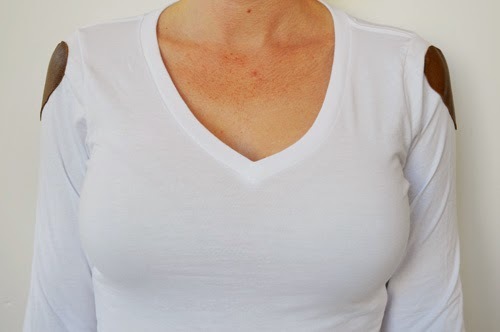 Before you add the puff paint to the shirt you will want to place a piece of paper under the shirt so it does not bleed. 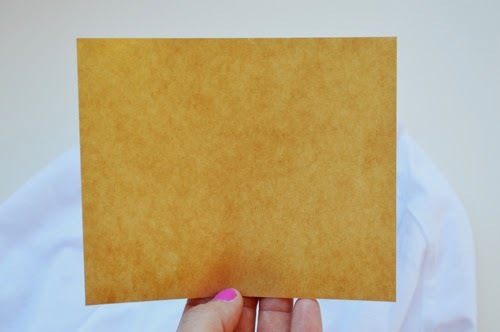 Inside of the pack of peel and stick sheets they have these waxy sheets inside, I used that. 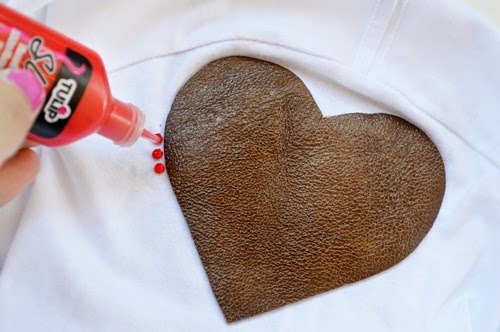 Step 8: Start adding dots around the hearts. How nice is this!!!! I think it's so sweet and chic! 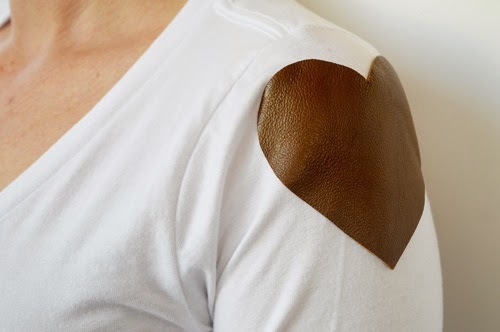 It adds a nice touch to your shirt and this will surely make you stand out! I hope you enjoyed this fun and glittery tutorial! HAPPY HOLIDAYS TO ALL OF YOU AMAZING READER! IT'S BECAUSE OF YOUUUUU THAT WE DO THIS! FROM MY HOUSE TO YOURS HUGEEE HUGS!!! —See you in the next post! Visit me on my BLOG, Facebook, Twitter,Pinterest, or Instagram!